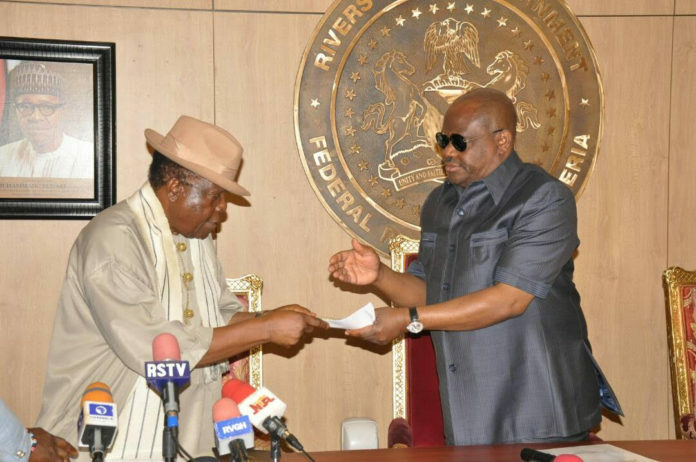 Leaders, Traditional Rulers, Women Groups and Chiefs of Ikwerre Ethnic Nationality have endorsed the Rivers State Governor, Nyesom Ezenwo Wike for a second term. The groups in an address read on their behalf by the President-General of Ogbakor Ikwerre Cultural Organisation Worldwide, Professor Simeon Achinewhu stated that the endorsement of Governor Wike is premised on his outstanding achievements. Professor Achinewhu spoke at the Government House Port Harcourt on Wednesday during a Solidarity/Congratulatory Visit by the groups. The groups include: Ogbakor Ikwerre Cultural Organisation Worldwide, Supreme Council of Government Recognised Ikwerre Traditional Rulers, Ikwerre Chiefs and Elders, Ikwerre Gospel Ministers Forum, Iwhuroha Women Association, Ikwerre Daughters National Congress, Ikwerre in Academia, Ikwerre in the Media and Okpo Club (Ikwerre Lawyers). Professor Achinewhu congratulated the governor for his state-wide developmental projects, saying that Ikwerre people are proud of him. 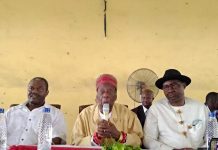 He said: “The Ogbakor Ikwerre unanimously urge you to accept the call from other ethnic nationalities, various organisations and well meaning Nigerians to run for a second term in office as a result of your numerous achievements. “The good people of Ikwerre Ethnic Nationality have asked me to notify Your Excellency that they have resolved to organise a civic reception and to install Your Excellency as Ikwerre custom demands as the “Dike-ogu” of Ikwerre land. Responding, Governor Wike assured the people of Ikwerrre Ethnic Nationality that he will continue to work for the development of all communities of Rivers State. 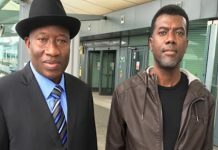 He urged them to always work in defence of their democratic rights, despite the antics of agents of the Federal Government. 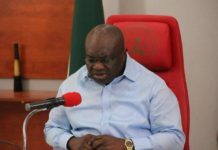 He stated that the administration has made tremendous progress in projects delivery because Rivers people have stood behind during trying times orchestrated by the Federal Government. Governor Wike noted that the Federal Government has over the last 30months worked in very negative ways to derail the administration. He said: “If we can achieve this in two and half years, despite the legal challenges we faced, then we will do more for the people of Rivers State. “We give God the glory that we moved ahead in the interest of our people. The Federal Government has done everything to derail this administration, but we are always succeeding “. He reiterated his call for through Federalism, saying that he supports South-South Governors calling for the restructuring of the country. The governor berated the Police High Command over the use of the Special Anti-robbery Squad (SARS) for political advantage of their sponsor. He advised Nigerians not to be deceived by the claims by the Inspector General of Police that he will review the operation of SARs, saying that the group is being re-positioned for rigging elections.